Pictured: Strom Thurmond’s Cyntheria Sulliovan. The North Carolina Coaches Association and the South Carolina Coaches Association have announced the team rosters for 2018. On March 24th the top 20 players, men and women, from each state will face off during the Carolinas Classic All-Star Basketball Games in Wilmington, North Carolina. 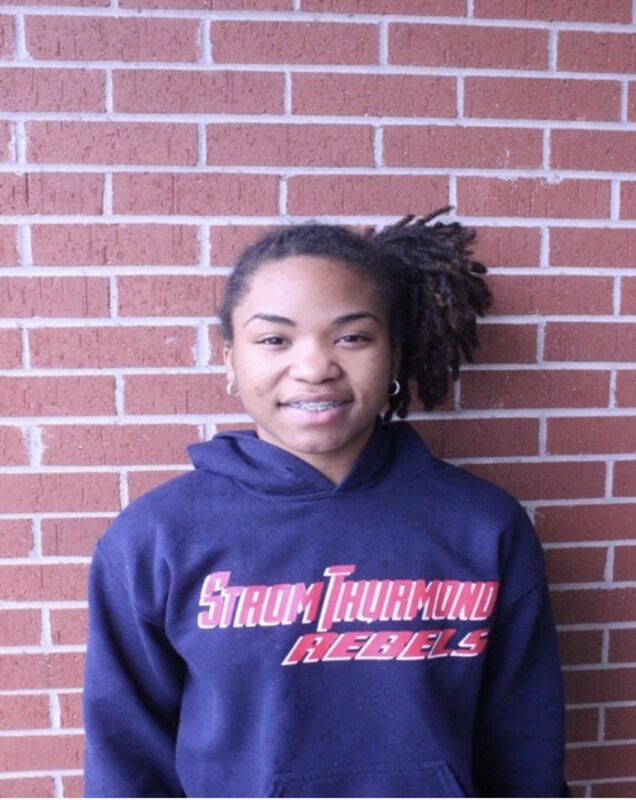 Strom Thurmond High’s Cyntheria Sullivan has been named to the South Carolina Women’s Roster for 2018. “These athletes represent the best our states have to offer the sport of basketball and we are honored they have been chosen to come to Wilmington for three days to not only play in their respective games, but to give back to the community,” said Shell Dula and Phil Weaver, executive directors of the South Carolina and North Carolina Coach’s Associations, respectively.